Our Friend and Neighbor, Chuck Dickey, passed away peacefully at home this last week shortly after his 86th birthday. 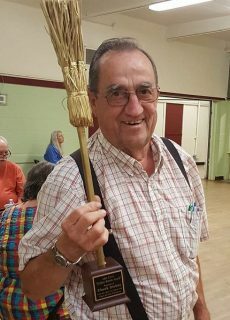 He was the model of dedication and service to Community. While we will be posting more information about his life in the days to come, I wanted to share just a bit about him and encourage others to do the same. Chuck will never be replaced in our Community and everyone that knew him will miss his love of Lake City, his commitment to the neighborhood and his infectious laugh. 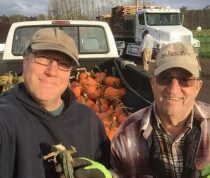 Whether Chuck was stocking planters, organize clean up crews, hanging flags along LCW, venturing out to the pumpkin patch to pick up pumpkins for local families or working with the Lion’s Club on their many efforts in the Community, Chuck stayed busy. I site Chuck as one of the primary reasons I got involved in the Community about seven years ago. Chuck was going door to door in the neighborhood to let people know there was a public meeting happening in Lake City. That was when I first really talked to Chuck about his work in the neighborhood and he helped me to realize that Lake City needed to be better connected. I had the honor to work alongside Chuck on graffiti removal (Chuck stored gallons upon gallons of paint for this purpose), planting flowers in LCW planters with local youth and several clean ups. Whenever I ran into him he had ideas on how to address challenges and work to make things better. I had the good fortune to spend time with Chuck talking about Lake City and his life on several occasions and I will miss him greatly as will the Lake City Community. 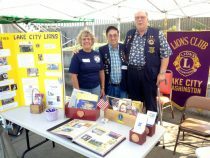 If you would like to share a picture or story about Chuck Dickey please send it along to Director@lakecityfuturefirst.org as we will be creating a page on the enjoylakecity.org in his honor.